Femern A / S Image. On February 6, 2019, the management of Femern A / S entrusted with the signed German regulatory approval in Kiel. 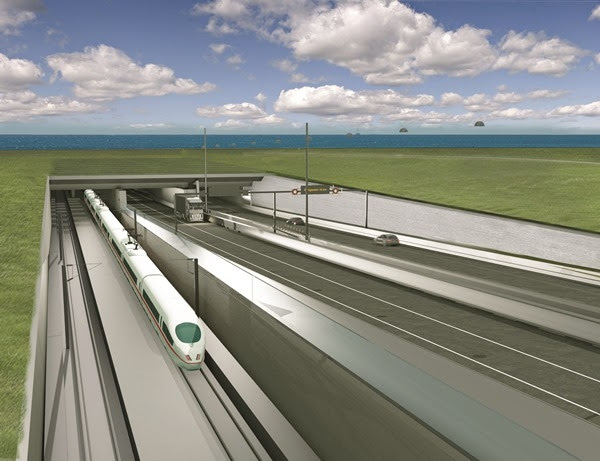 On December 28, 2018 announced the Ministry of Transport in Schleswig-Holstein, the authorities-diligence approval of the Fehmarnbelt tunnel was ready for signature. In connection with the final treatment, had Fehmarn A / S to make suggestions for corrections of factual information and editorial changes. This process has now been completed and regulatory approval finally signed by the German authorities. “This is a very important step in the realization of the Fehmarnbelt tunnel and a good expression of the priority of the project in the Schleswig-Holstein,” said Claus F. Baunkjær, Managing. Director of Femern A / S.
Appeals can be made to the approval of the German approval authority to Manage-up court in Leipzig. Fehmarn A / S and its German advisers are well prepared to assist the German approval authority in Kiel in such proceedings. The German approval relates only construction on the German side. The activities on the Danish side is regulated by the Danish Construction Act for the Fehmarn project. The construction of the Fehmarnbelt tunnel is arranged such that, when Rødbyhavn on Lolland brought only partly a new work port, second, a plant for the production of the tunnel elements 89, which lower the tunnel consists essentially of. The site development of the area at Rødbyhavn in which the tunnel element factory must lie, is under way. In March 2018 joined the parties behind the Fehmarnbelt link a political agreement on bringing forward concrete construction preparatory activities, ie land development of the site in Rødbyhavn. The activities financed within the overall construction budget and includes environmental initiatives, archaeological studies and the establishment of power and water supply in the production area at Rødbyhavn on Lolland.